After weeks of speculation, Samsung unveiled its 2015 answer to the Apple iPad Air and iPad mini on Monday: The Galaxy Tab S2. Designed to be as thin and light as possible, Samsung says the Galaxy Tab S2 is its most advanced tablet to date. Samsung is keeping tight-lipped about the Galaxy Tab S2’s price. 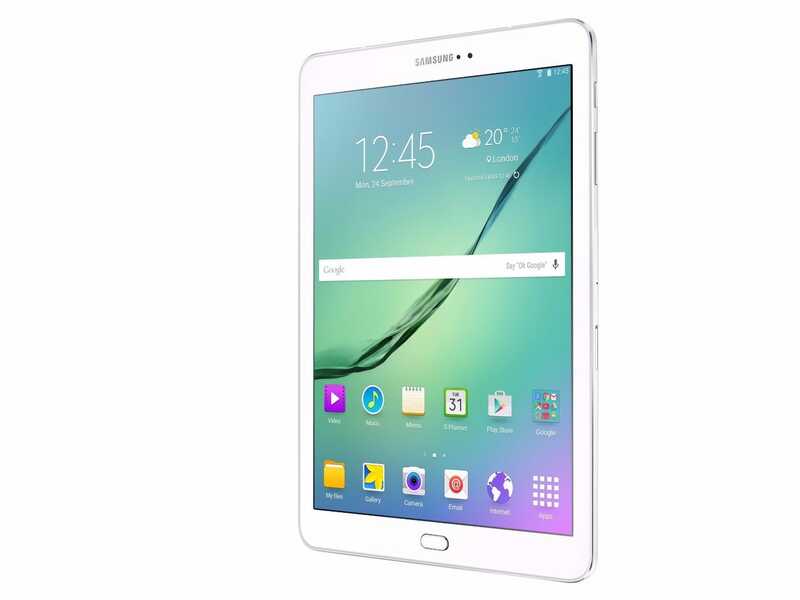 However, if the price of its previous Galaxy Tab S tablet is anything to go by, it will be around £400 ($620). Samsung hasn’t given the Galaxy Tab S2 a firm release date, but has promised it will begin shipping the tablet at some point in August. Samsung’s selling the Galaxy Tab S2 in 9.7-inch or 8-inch size options, both of which have slightly different specifications. Feature a 9.7 inch 2048 x 1536 Super Amoled display. Measure in at 169 x 237 x 5.6 millimeters and weigh 389 grams. Run using an unspecified octa-core processor. House 8 megapixel rear and 2.1MP front cameras. Be powered by a 5,860 mAh battery. Run using Android 5.0 Lollipop. Feature an 8 inch 2048 x 1536 Super Amoled display. Measure in at 135 x 199 x 5.6 millimeters and weigh 265 grams. Run using the same unspecified octa-core processor. Have the same 8MP and 2.1 rear and front facing cameras. Be powered by a smaller 4,000 mAh battery. Run using the same Android 5.0 Lollipop operating system. Both sizes of the tablet will also feature custom fingerprint scanners. The fingerprint sensors are similar to Apple’s TouchID, and will let Galaxy Tab S2 owners set the tablets to only unlock or approve certain actions, like in-app purchases, after their user has proven their identity using the scanner. For business buyers, or people looking to use their tablet for work, Samsung has loaded both variants of the Galaxy Tab S2 with Microsoft Office and 100 gigabytes of free space on OneDrive for the first two years after purchase.